Raj Patel is an award-winning writer, activist and academic, holding a Research professorship at the University of Texas and Senior Research Associate at Rhodes University,(UHURU). He has worked for the World Bank and WTO, and protested against them around the world. He is a fellow at The Institute for Food and Development Policy, also known as Food First. 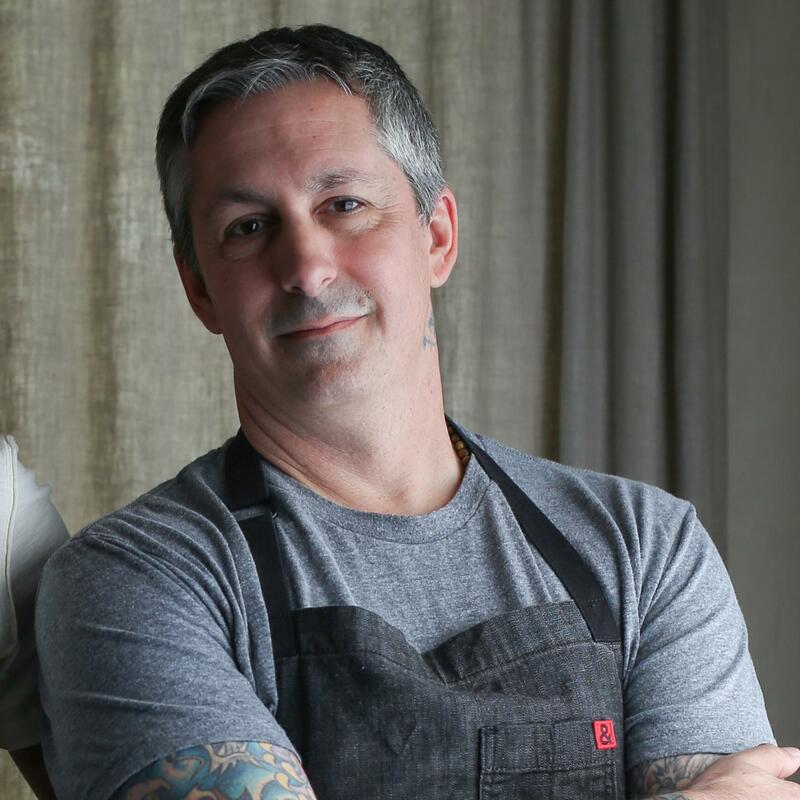 In 2016 he was recognized with a James Beard Foundation Leadership Award. Raj co-taught the 2014 Edible Education class at UC Berkeley with Michael Pollan. 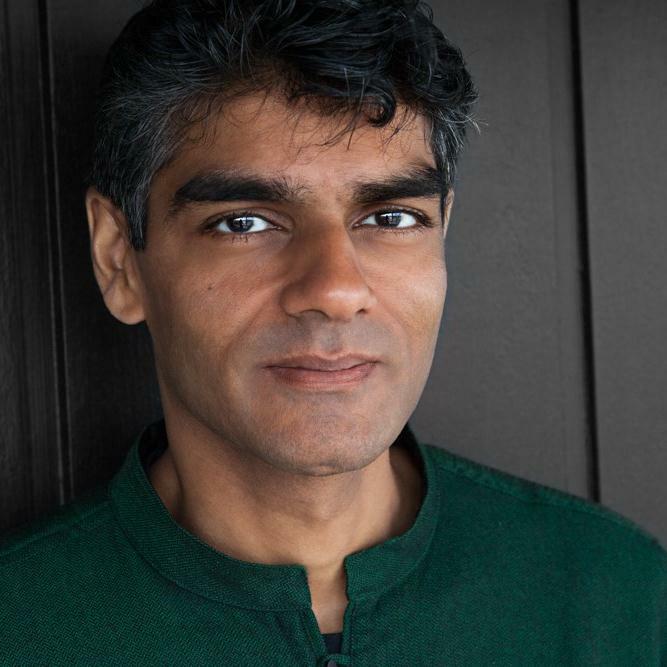 Raj has published widely in economics, philosophy, politics and public health journals, and he regularly writes for The Guardian and other newspapers. His first book was Stuffed and Starved: The Hidden Battle for the World Food System and his latest, The Value of Nothing, is a New York Times best-seller. He is currently working on a ground-breaking documentary project about the global food system with award-winning director Steve James. 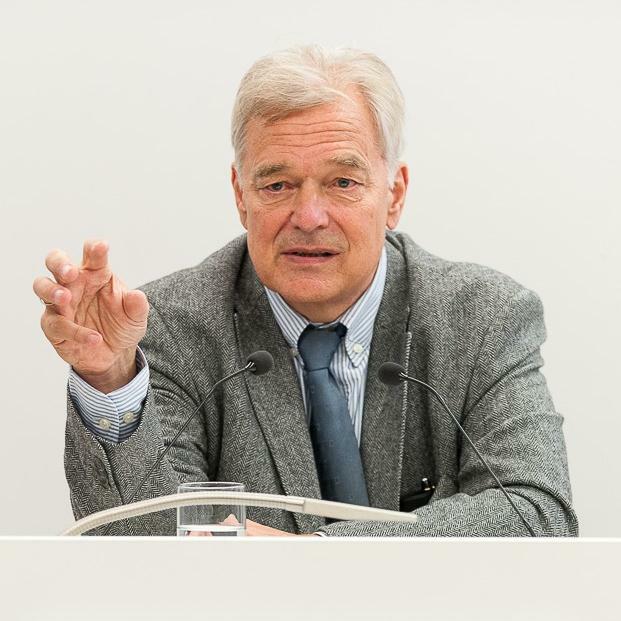 Karl Falkenberg has enjoyed a long career at the Commission of the European Union. He was an EU trade negotiator during the Uruguay Round, and subsequently negotiated the first WTO Services Protocols in Financial Services, Telecommunications and Maritime Transport. From 2003 to 2008, he was in charge of all bilateral trade relations, as Deputy Director General for Trade. From 2009 to 2015 he was Director General for Environment, covering all domestic and international environmental issues, including Climate Change. From July 2015 to July 2017 he served as Senior Adviser to Commission President Jean Claude Juncker, on Sustainability. He drafted a Report on Sustainability and spent the final year as Senior Fellow at Oxford University. Karl left on retirement on 1 July 2017 and now works as a lecturer on trade, environment and Sustainability. He is a trained economist and journalist. Dr. Frank Hu is Chair of Department of Nutrition, Professor of Nutrition and Epidemiology at Harvard T.H. Chan School of Public Health and Professor of Medicine, Harvard Medical School and Brigham and Women’s Hospital. He serves as Co-director of the Program in Obesity Epidemiology and Prevention at Harvard and Director of Boston Nutrition and Obesity Research Center (BNORC) Epidemiology and Genetics Core. 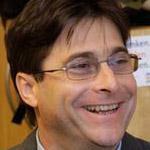 He also serves as Director of Harvard Transdisciplinary Research in Energetics and Cancer (TREC) Center. Dr. Hu received his MD from Tongji Medical College in China and a PhD in Epidemiology from University of Illinois at Chicago. His research is mainly focused on nutritional and lifestyle epidemiology and prevention of obesity, diabetes, and cardiovascular disease, gene-environment interactions, and nutritional metabolomics. He has published >1000 original papers and reviews (H-index 206) and a textbook on Obesity Epidemiology (Oxford University Press 2008). Dr. Hu is the recipient of the Kelly West Award for Outstanding Achievement in Epidemiology by American Diabetes Association (2010). He has served on the Institute of Medicine Committee on Preventing the Global Epidemic of Cardiovascular Disease, the AHA/ACC Obesity Guideline Expert Panel, and the 2015 Dietary Guidelines Advisory Committee, USDA/HHS. 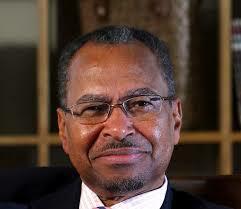 He currently serves on the editorial board of Lancet Diabetes & Endocrinology, Diabetes Care, and Clinical Chemistry. Dr. Hu was elected to the U.S. National Academy of Medicine in 2015. Carl is the first Endowed Professor for Nature and Humanity at Stony Brook University, where he co-chairs the Alan Alda Center for Communicating Science and runs the not-for-profit Safina Center. 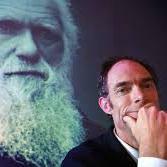 His writing about the living world has won a MacArthur “genius” prize, Pew and Guggenheim Fellowships; several book awards and medals. He hosted the PBS series Saving the Ocean. He is widely published in leading magazines and his books include the classic Song for the Blue Ocean. His latest book is Beyond Words; What Animals Think and Feel. Dr Herren is President of the Millennium Institute. An agricultural scientist, he was awarded the World Food Prize in 1995 for his work on biological pest control. He spent many years in Nairobi, where he ran the Institute for Insect Physiology and Ecology. 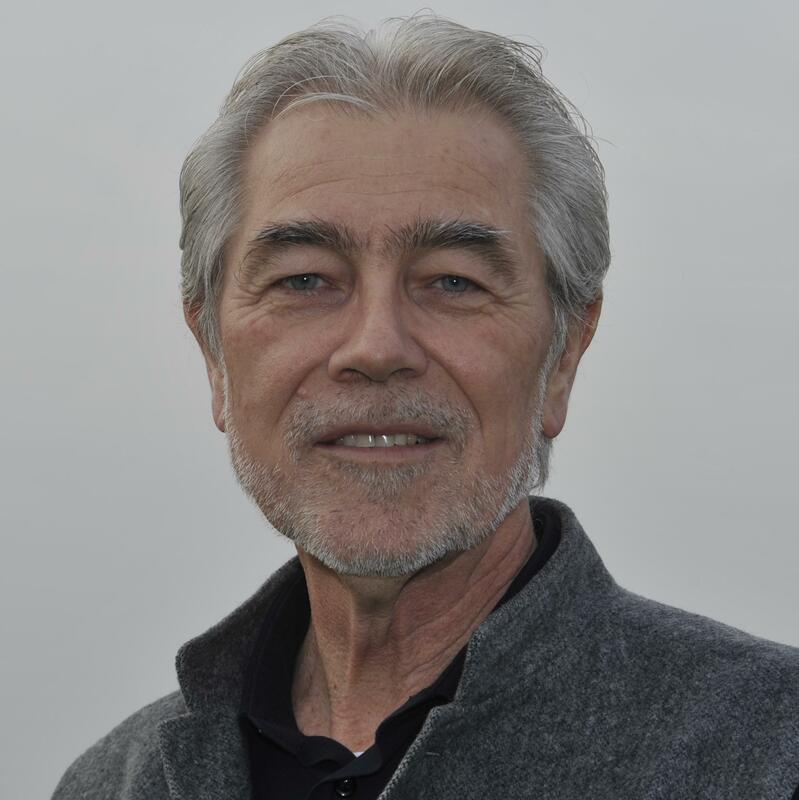 He is a passionate believer in sustainable, ecological agriculture and co-chaired the International Assessment of Agricultural Knowledge, Science and Technology, (IAASTD), and is founder of the Biovision Foundation based in Zürich. Philip is a naturalist, author and chief executive of leading international farm animal welfare organisation, Compassion in World Farming where he has led the growth of CIWF internationally, with offices in 10 countries across Europe, the USA, South Africa and China. He places emphasis on engaging with major food companies and achieving game-changing legislation. His book, Farmageddon: The True Cost of Cheap Meat, was published by Bloomsbury in 2014 and was one of The Times Writers’ Books of the Year, gained international acclaim. Visiting Professor at the University of Winchester, he is recipient of the ‘outstanding campaigning’ award by Brussels-based Eurogroup for Animals and the International Golden Dove peace prize in Rome. His new book Dead Zone: Where the Wild things Were was published in March 2017. 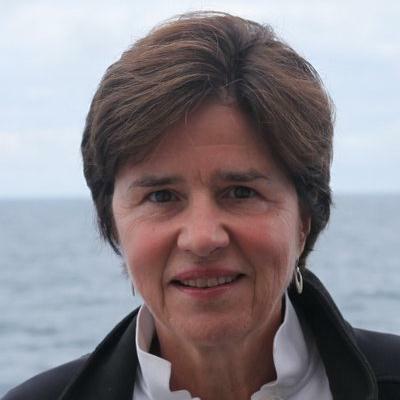 Katherine Richardson is professor in biological oceanography at the University of Copenhagen and leader of the Sustainability Science Centre (www.sustainability.ku.dk). She has recently been appointed by the UN General Secretary to the 15 man expert panel to draft the global sustainability report that will inform the 2019 UN General Assembly. She is one of the coordinating authors on the “planetary boundaries” framework aimed at defining a safe operating space for human perturbation of the Earth System. 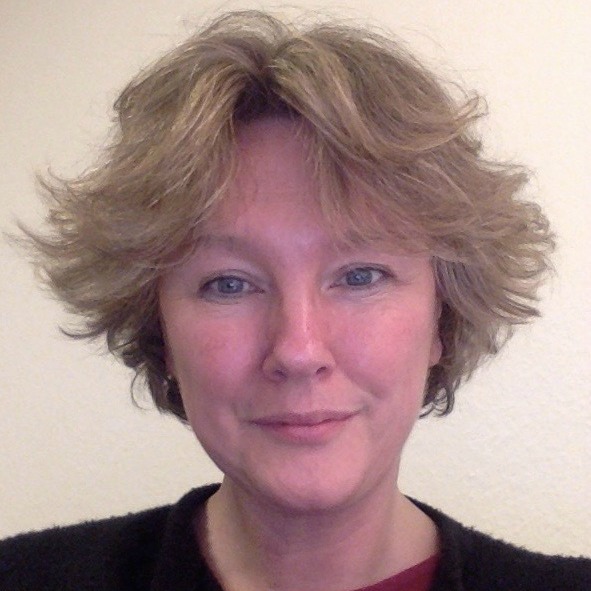 She is a principle investigator in the Center for Macroecology, Evolution and Climate (www.macroecology.ku.dk). She chaired the Danish Government’s “Climate Commission” which provided a plan for how the country could become independent of fossil fuels and formed the background for the Parliamentary goal of removing fossil fuels from the energy and transports systems by 2050. She currently sits on the Danish Council on Climate Change and is active both as a member in and/or chairperson for a number of national and international research committee/ advisory boards. She has published over 100 peer reviewed scientific papers and book chapters. Dave Goulson is Professor of Biology (Evolution, Behaviour, and Environment) at the University of Sussex. He studies the ecology and conservation of bumblebees, and has published over 190 scientific papers on bees and other insects. In 2006 he founded the Bumblebee Conservation Trust, a membership-based charity in the UK which now has 8,000 members, and has helped to create over 1,000 hectares of flower-rich habitat for bees. Author of the amazing books: A Sting in the tale and A Buzz in the Meadow. Martin is Secretary-General of the Alliance of Religions and Conservation (ARC), an international organisation founded by Prince Philip in 1995. ARC inspires religious groups to develop programmes on the environment and ethical food. Martin has written English editions of Chinese philosophical classics such as Zhuangzi as well as books on world faiths. He co-chairs an ARC environmental programme with the UNDP. He regularly contributes to TV and radio programmes on faith matters. 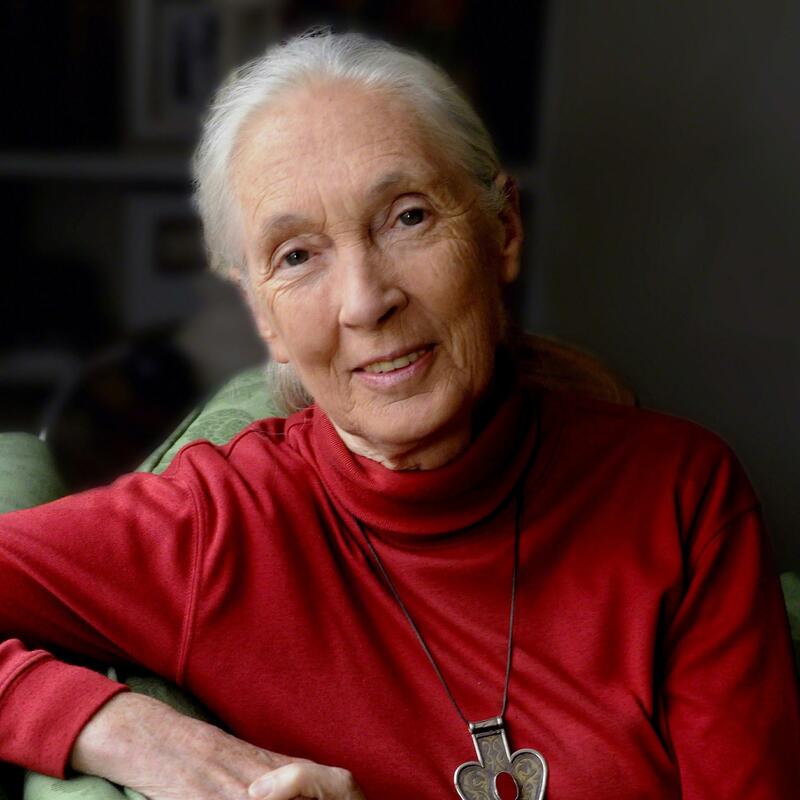 UN Messenger of Peace, Dr Jane Goodall is world renowned for her pioneering study of the social interactions of wild chimpanzees in Gombe, Tanzania, and has raised global awareness of animal sentience. She is founder of the Jane Goodall Institute and of the inspirational Roots and Shoots programme for young people. She also formed TACARE (Take Care), which partners with communities around Gombe to create sustainable livelihoods while promoting conservation. Glyn Davies is the Executive Director of Global Programmes at WWF-UK. His remit since 2007 has been to lead WWF-UK’s conservation work to safeguard the natural world, so that we have a planet where humans and nature thrive. Prior to WWF-UK Glyn served as Director of Conservation Programmes at the Zoological Society of London. 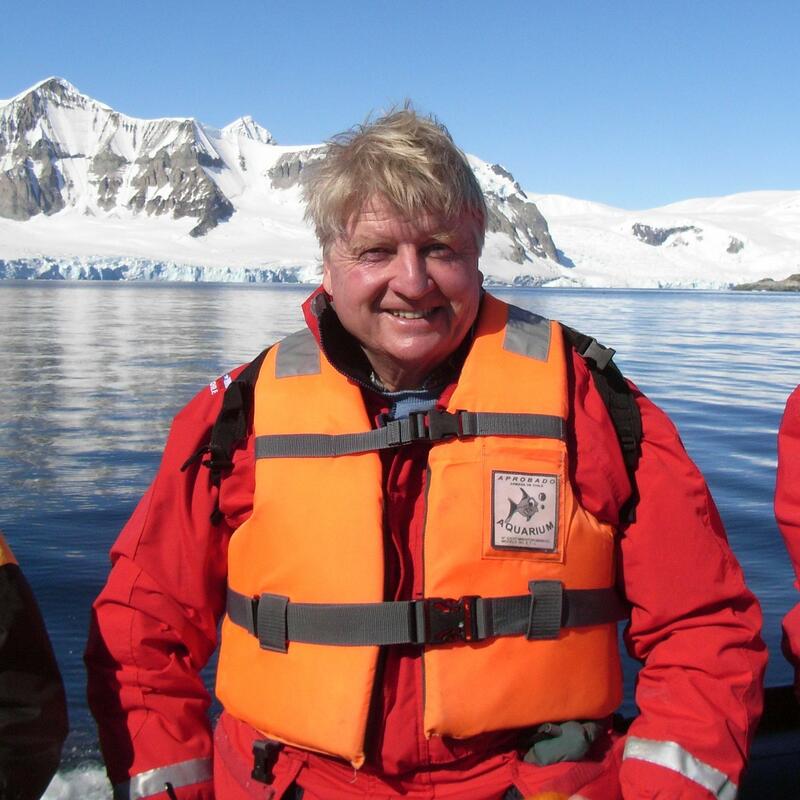 Throughout his career Glyn has worked at local, national and international levels, looking at environment and development, forest and wildlife conservation, and biodiversity policy. Janet Maro was born in 1987 in Kilimanjaro. She is a graduate of Sokoine University of Agriculture (SUA) with a BSc. Agricultural Economics and Agribusiness. 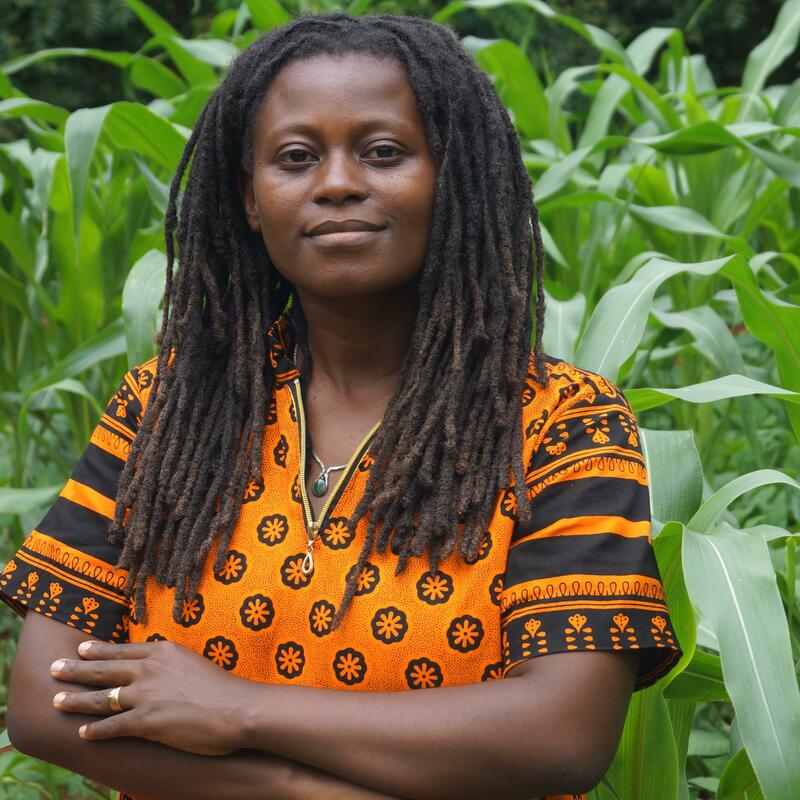 She has had a strong passion for sustainable agriculture, which crystallized during her work for Bustani ya Tushikamane (ByT) which works with farmers on organic farming. In 2010 they were able to launch Sustainable Agriculture Tanzania (SAT) to make it possible to act on the national level. Sustainable Agriculture Tanzania (SAT) is a grassroots organization where ecological agriculture is practiced. SAT has made several positive experiences by involving farmers in the planning stage and other stakeholders like universities, companies and governmental extension officers in its activities. This holistic approach establishes an Innovation Platform, where dissemination, research, application and networking build the main pillars. SAT has worked with 77 farmer groups (2100 farmers) in 50 villages in Morogoro where food production and livestock keeping in an environmentally friendly and sustainable way is practised. Chris, the great, great grandson of Charles Darwin, is an environmentalist, adventurer and ambassador for Bush Heritage Australia. His fundraising helped them buy the Charles Darwin Reserve in Western Australia. He believes we can halt the mass extinction of species by eating less meat and fish. He is currently developing a “less meat” app. Stanley has worked in the field of environment and animal welfare for 40 years. As a Member of the European Parliament, he was Vice-Chairman of the Environment Committee and Founder-Chair of the All-Party Group on Animal Welfare. He has received awards from the RSPCA and Greenpeace for outstanding services to animal welfare and the environment respectively. He has written many books, the latest being Where the Wild Things Were: Travels of a Conservationist. 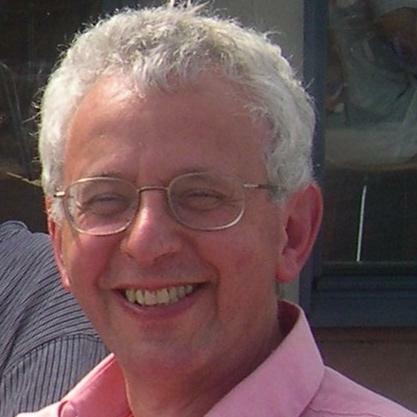 Tim Lang is Professor of Food Policy at City, University of London’s Centre for Food Policy. He was a hill farmer in Lancashire UK in the 1970s which confirmed his interest food as a link for health, environment, culture and political economy. He was food advisor to the EU Environment Commissioner (1988), food commissioner on the UK Sustainable Development Commission (2006-11), and a member of UK Council of Food Policy Advisors (2008-10) and the London Food Board advising the Mayor of London (since 2009). His latest book is Sustainable Diets (with Pamela Mason) was published in March 2017. 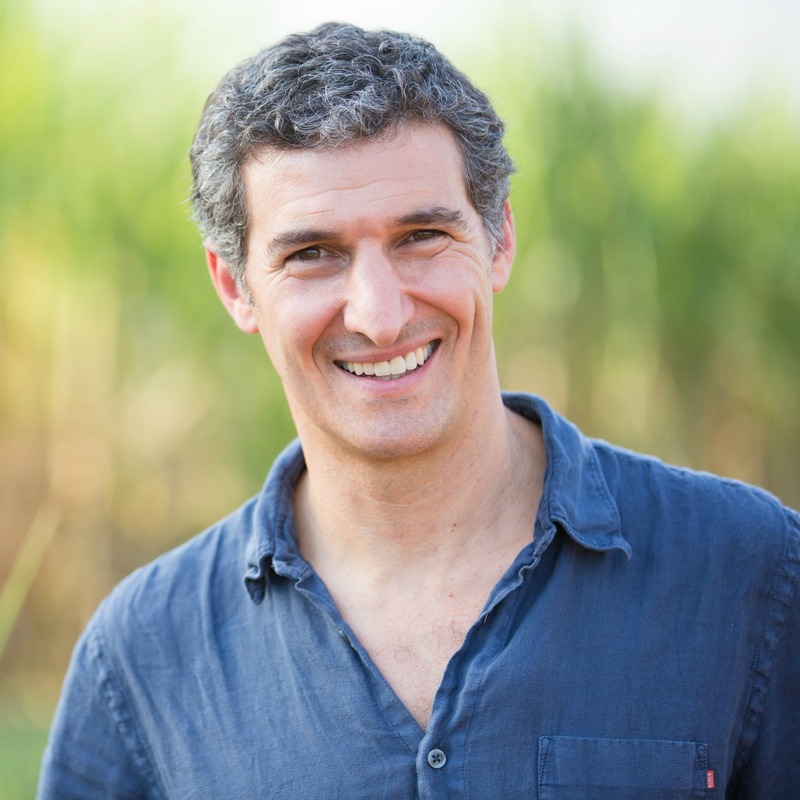 Jean-François Timmers is WWF Global Expert on Food, Commodities and Conservation, based in Brazil. A biologist with specialization in Economics and an MSc in Ecology, Conservation and Sustainable Development, he has led conservation, development, advocacy and research projects and programs in Brazil since 1992, including the “Man and the Biosphere – MAB” Program of UNESCO in Brazil. He also coordinated an innovative food security and co-management of park program with indigenous communities, as well as the creation of new Federal protected areas in the Atlantic Forest, leading to the protection of more than 315 thousand hectares of highly threatened last remnants of original forests. He joined WWF-Brazil in 2012 to set up its Public Policies program, dealing with a wide range of policy, legislative and conservation issues in Brazil, including the Soy Moratorium in the Amazon. In 2015, he joined WWF International as Global Soy Lead, and he also led the structuring of WWF´s new Global Food Practice. He now leads the International Working Group of the “Collaboration for Forest and Agriculture” (CFA) project, a partnership between the Gordon and Betty Moore Foundation, WWF, TNC and NWF aiming at eliminating by 2020, most deforestation and conversion of natural habitats for the soy and beef supply chains, in the Amazon, Cerrado and Chaco, in Brazil, Paraguay and Argentina. Paul Shapiro is Vice President, Policy at The Humane Society of the United States. From 2005–2016 he served as the head of HSUS‘s farm animal protection efforts, where he played an integral role in numerous successful legislative and corporate campaigns to improve the plight of farm animals. He has been interviewed in hundreds of print, broadcast and online news sources as an authority on animal welfare and advocacy. He has also published dozens of articles about animal welfare in publications ranging from daily newspapers to academic journals. Shapiro is also the author of a forthcoming book Clean Meat to be published by Regan Arts in autumn 2017. Educated at Trinity College Cambridge, Peter Stevenson is a qualified lawyer. He is the Chief Policy Advisor of Compassion in World Farming. In 2004 Peter was the joint recipient of the RSPCA Lord Erskine Award in recognition of a “very important contribution in the field of animal welfare”. Peter leads Compassion in World Farming’s lobbying at the EU and the OIE. He played a leading role in winning the EU bans on veal crates, battery cages and sow stalls as well as a new status for animals in EU law as sentient beings. Peter has written many well received reports on the welfare of chickens reared for meat and farmed fish, welfare at slaughter, welfare during transport and the economics of livestock production. He is a member of several EU, Council of Europe and Defra working groups. Olivier De Schutter served as UN Special Rapporteur on the right to food from May 2008 until May 2014 and was elected to the UN Committee on Economic, Social and Cultural Rights in 2014. He is co-chair of IPES-Food, a new expert panel guided by new ways of thinking about research, sustainability, and food systems. He is a Professor at the Catholic University of Louvain. In 2013 he was awarded Belgium’s top scientific award, the Prix Francqui, for his contribution to the advancement of EU law, the theory of governance, and human rights law. His latest book is about trade and sustainable development. 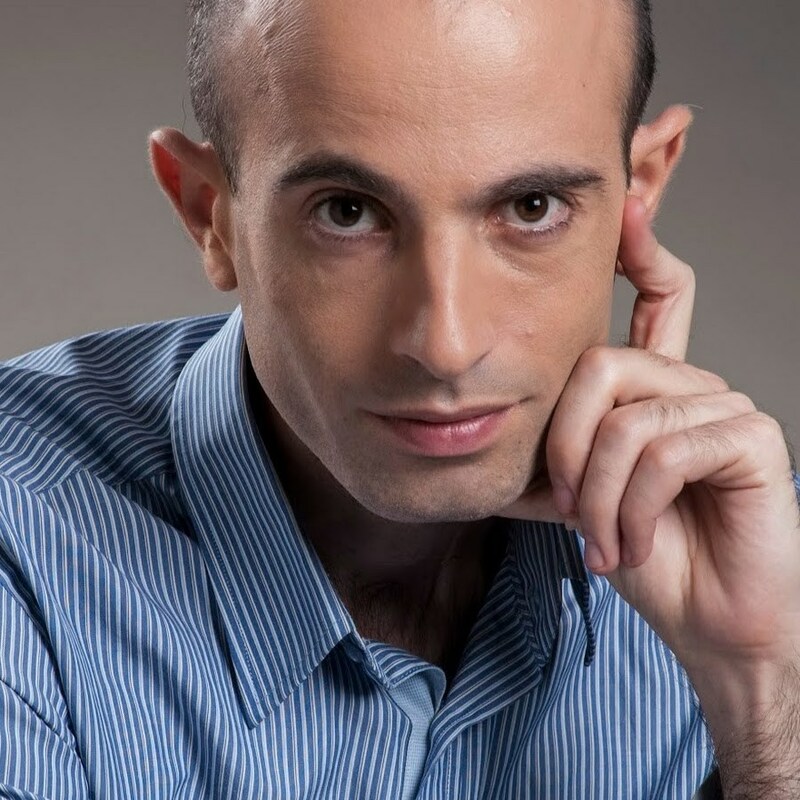 Yuval Noah Harari is an Israeli historian, a professor at the Department of History of the Hebrew University of Jerusalem and the author of the international bestsellers Sapiens: A Brief History of Humankind and Homo Deus: A Brief History of Tomorrow. Prof. Harari has twice won the Polonsky Prize for Creativity and Originality. Professor Joy Carter is Vice-Chancellor of The University of Winchester. She is an academic with research based in Geochemistry and Health and was a former President of the international society in her field. Professor Carter is the current Chair of GuildHE, and for many years served on the Universities UK Board. Professor Carter currently chairs three further national bodies, The Church of England's Steering Group for their Foundation for Educational Leadership, Supporting Professionalism in Admissions Steering Group (SPA) and the Governing Body of a national sport (England Squash). She is a former Chair of the Cathedrals Groupof Universities. As an ambassador for higher level skills and vocationallearning, she chaired the University Vocational Awards Council (UVAC) for six years. Professor Carter is a Board member of the Universities and Colleges Admissions Service (UCAS) and the Quality Assurance Agency (QAA). In 2013, Professor Carter was invited to become a representative of the Lord Lieutenant and is now a Deputy Lieutenant for the county of Hampshire. Professor Carter is passionate about all aspects of equality and has particular interests in widening participation, sustainability and animal welfare. Reineke Hameleers is working as Director of Eurogroup for Animals, the leading Pan-European animal advocacy organisation convening 54 members in 29 countries. Transforming the food chain and shifting food production paradigms are one of the key objectives of Eurogroup for Animals. Improving the welfare of farm animals is intrinsically connected to environmental interests, sustainable economies, human and animal health and preserving wildlife. 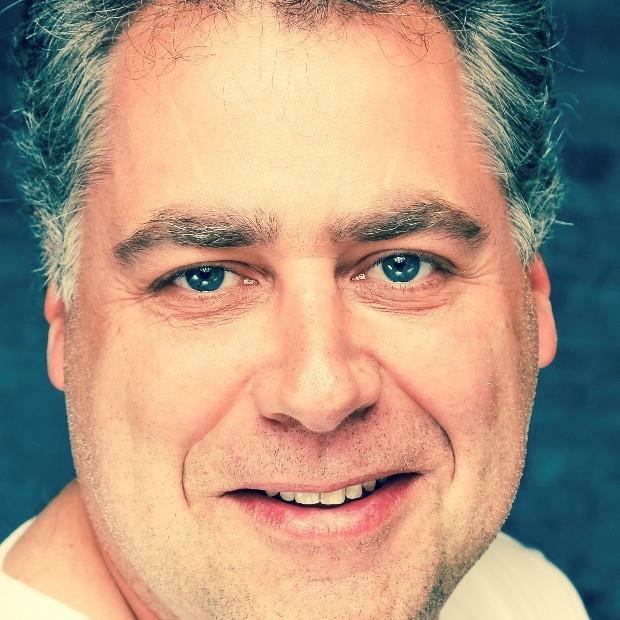 Reineke has worked in the animal welfare sector since 2003 and worked before as Regional Director of Dutch Society for the Protection of Animals, Dierenbeschermingd. She holds a Master’s degree in Arts and Science Studies from Maastricht University and her thesis was on human-animal relationships. 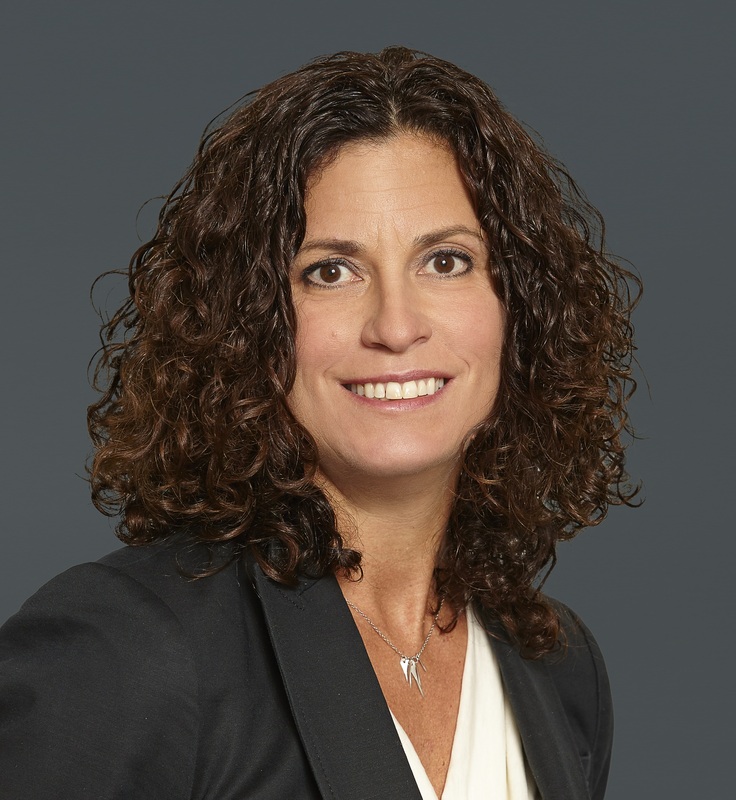 Cheryl Queen is responsible for communication and corporate affairs for Compass Group, the largest food and support services company in North America, with 2016 annual revenue of $16 billion and 240,000 associates. Compass was recently named to Fortune’s 50 Companies that Change the World. Cheryl is former Chairman, Board of Advisors for the Center for Environmental Farming Systems, a partnership between NC State University, NC A&T University and the NC Department of Agriculture. She is a member of the Farm Foundation Roundtable, and the Joint Committee on Responsible Labor Practices for Farmworkers. 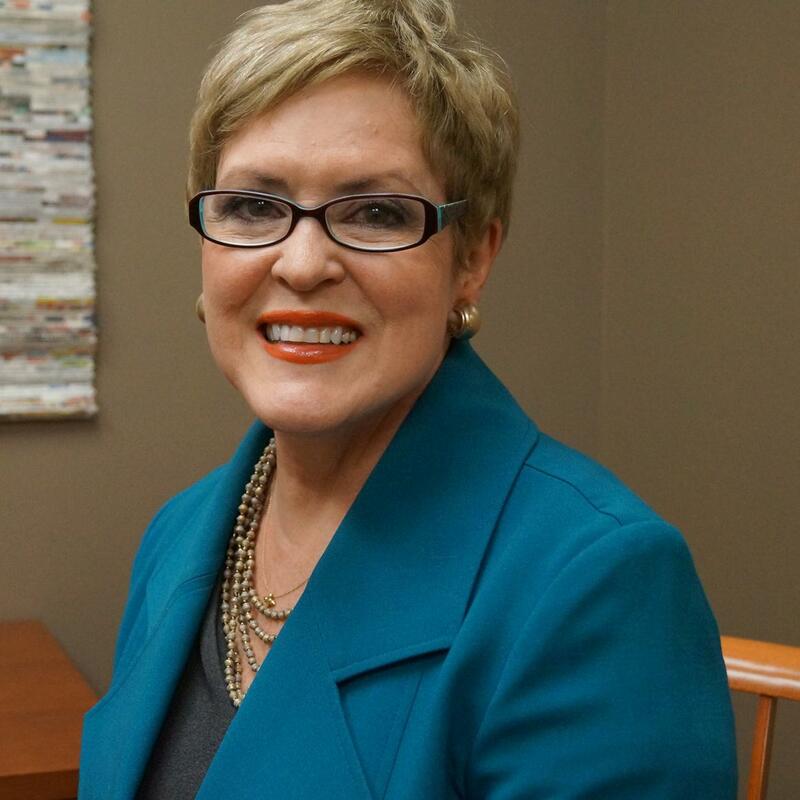 In 2010 she received the Cesar Estrada Chavez Award from the American Association for Affirmative Action for work with the Coalition of Immokalee Workers to craft a Code of Conduct for Suppliers and an agreement to pay farmworkers a premium. She is a board member of the Fair Food Standards Council. She has spoken at the Robert F. Kennedy Center for Human Rights and often speaks on behalf of Fair Food including at the White House; Clinton Global Initiative; the United Nations Conference on Business and Human Rights; and the Harvard School of Law. Josh Balk is a founder of Hampton Creek, a food tech company Bill Gates honoured as one of the top three companies to forever change the food industry. Hampton Creek uses innovative technologies to test the world of plants and determine which ones would best replace unsustainable and unhealthy animal proteins. Its best-selling products include dressings, spreads, baked goods, and more and they’re available at all the leading retailers in the U.S. Inc Magazine named Josh as one of its "35 under 35.” He’s currently the Vice President of Farm Animal Protection at the Humane Society of the United States where he leads efforts passing laws and enacting corporate policies that create a more humane food system. 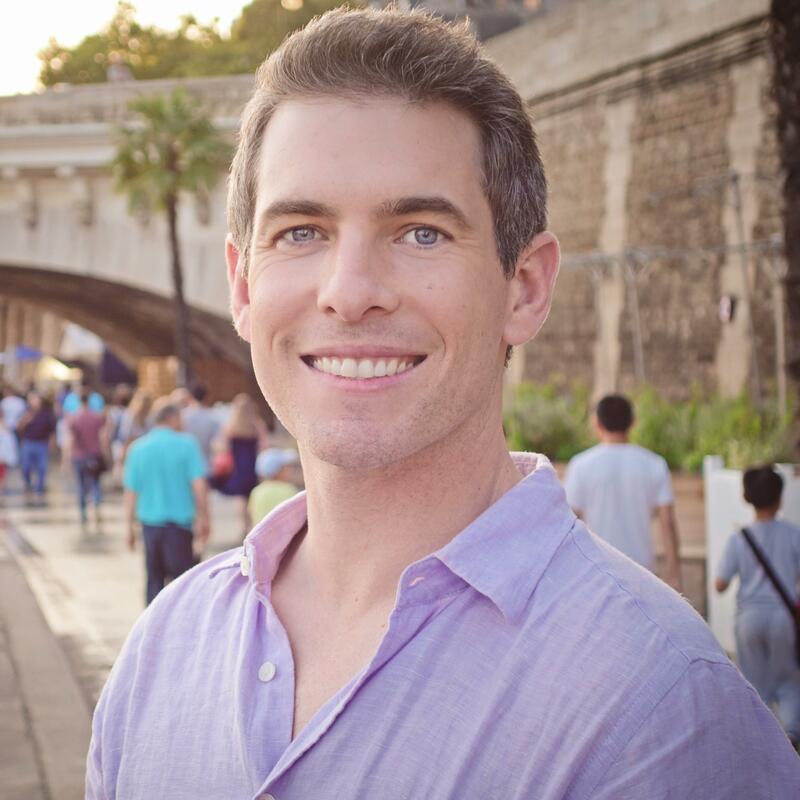 Michael is a contributor at Forbes, covering the future of food as it relates to sustainability. He recently organised a future of food event with Jeremy Coller, discussing the investment risks of factory farming. He's a frequent guest lecturer and has been featured in The Wall Street Journal, Financial Times, and Institutional Investor. Leah is the USA Executive Director at Compassion in World Farming (www.ciwf.com) She is an animal advocate who partners with some of the largest food companies in the world to improve their animal welfare policies and practices. Her work has been featured in many national media outlets including the New York Times, the Washington Post, Buzzfeed, Vice Magazine, and the Chicago Tribune amongst others. She’s a contributing author to Huffington Post and Food Safety News and a member of the Forbes Nonprofit Council. She leads a team that provide strategic and technical advice to food businesses to advance policies and practices that result in measurable improvements for farm animals. In 2016 alone, her team partnered with global food companies to make commitments that will improve the lives of over 300 million farmed animals annually. Leah serves as the Chair of the Global Animal Partnership, one of only three animal welfare certification programmes in the United States. She is also the mom of three incredible kids. Kevin Brennan is CEO of Quorn Foods Ltd. A businessman with a great marketing record, Kevin is passionate about Quorn, a mycoprotein meat alternative, now widely sold in supermarkets in the UK, Europe and, increasingly, in the US and Asia. Quorn is a leading partner in the annual “World Meat Free Day”, celebrated each June. The company has recently developed several vegan products. Outside of work, Kevin is a family man, a gigging guitarist and speaks Chinese, having previously lived there for 3 years. Jim Perdue has been the Chairman and advertising spokesman of Perdue Farms since 1991. He is a third generation leader of the company founded by his grandfather in 1920. During Jim’s tenure, Perdue Foods has grown to become a national roster of premium protein brands offering organic chicken and no-antibiotics-ever chicken, turkey, pork, beef and lamb. In addition, Perdue AgriBusiness has expanded from a regional grain and oilseed business to a multi-faceted international player. Jim guided Perdue to become the first major poultry company to move all of its chicken to no-antibiotics-ever protocols. In 2016, Jim announced the company’s Commitments to Animal Care, a ground-breaking initiative that is transforming Perdue’s approach to raising chickens. He received his undergraduate degree from Wake Forest University, a master’s degree in Marine biology from the University of Massachusetts and a doctorate in fisheries from the University of Washington, Seattle. Jim is a member of the board of the National Chicken Council. Aysha Akhtar, M.D., M.P.H., is a neurologist and public health specialist. Her book, Animals and Public Health. Why Treating Animals Better is Critical to Human Welfare, examines how the treatment of animals impacts human health. Dr. Akhtar is a Fellow of the Oxford Centre for Animal Ethics, is a medical officer for the Office of Counterterrorism and Emerging Threats of the Food and Drug Administration, and serves as Lieutenant Commander in the US Public Health Service Commissioned Corps. You can learn more at her website, www.ayshaakhtar.com Finally, since she works for the government, Dr. Akhtar must provide the obligatory disclaimer: The opinions expressed are solely those of Dr. Akhtar and do not represent the official position of the U.S. Food and Drug Administration or the U.S. government. Jimmy Smith, a Canadian, is the director general of the International Livestock Research Institute (ILRI), a position he assumed on 1 October 2011. Before joining ILRI, he worked for the World Bank, , where he led the Bank’s Global Livestock Portfolio. Previously he held senior positions at the Canadian International Development Agency (CIDA). Still earlier in his career, Smith worked at ILRI and its predecessor, the International Livestock Centre for Africa (ILCA), where he led an association of 10 CGIAR centres working at the crop-livestock interface. Smith has also held senior positions in the Caribbean Agricultural Research and Development Institute (CARDI). He is a graduate of the University of Illinois where he completed a PhD in animal sciences. He is widely published, with more than 100 publications. John Webster graduated as a vet. from Cambridge in 1963 and is now Professor Emeritus at the University of Bristol. On appointment to the Chair of Animal Husbandry at Bristol (UK) in 1977 he established the unit for the study of animal welfare and behaviour, which is now over 60 strong. He was a founder member of the UK Farm Animal Welfare Council and first propounded the ‘Five Freedoms’ that have gained international recognition as standards for defining the elements of good welfare in domestic animals. He is a former president of the UK Nutrition Society and British Society of Animal Science. His most notable publications include two books on Animal Welfare: A Cool Eye towards Eden and Limping towards Eden. His most recent book Animal Husbandry Regained: the place of farm animals in sustainable agriculture extends the principle of unsentimental compassion beyond that for the farm animals to embrace all concerns for the life on the land. 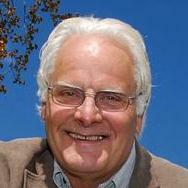 Ruud Zanders grew up on a Poultry Farm and studied economics at Wageningen University. He had his own largescale poultry farms. A personal crisis led him to change his thinking. Since 2008, he has focussed on sustainable, relatively small scale, ecological and higher welfare animal production. His latest project, together with 3 partners, is Kipster: a revolutionary poultry farm that will produce higher welfare eggs and meat. There will be no use of fossil fuels and minimal pressure on the environment. Kipster aims to be an example for the role of animals in a worldwide, sustainable food system. 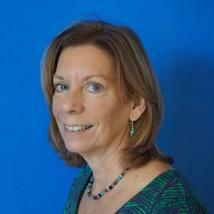 Maria Lettini is the Director of the FAIRR Initiative. She is responsible for engaging with institutional investors and related capital markets stakeholders on the risks and opportunities associated with the global food system, with special focus on FAIRR’s key interest area: animal factory farming. Prior to her role at FAIRR, she spent five years at the UN-supported Principles for Responsible Investment (PRI), leading the PRI’s signatory strategy to raise awareness of material sustainability (environmental, social and corporate governance) issues and ensure their incorporation into investment policies and practices. Maria has over twenty years’ experience in global investment banking, business and finance, working at both J.P. Morgan and Deutsche Bank. She has been based in San Francisco, New York, Madrid, and most recently, London. Maria holds a MA (Distinction) in Environment, Politics and Globalization from King’s College London and a BA in International Business, Latin American Studies and Spanish. Sue Dibb is Executive Director of Eating Better: for a fair, green, healthy future – a broad alliance that is encouraging governments, businesses and all those who can make a difference to help people eat less and better meat and more foods that are good for people and the planet. Sue is passionate about the need to create healthy, fair, sustainable food systems and the importance of governments, businesses and civil society working together to enable this transition. 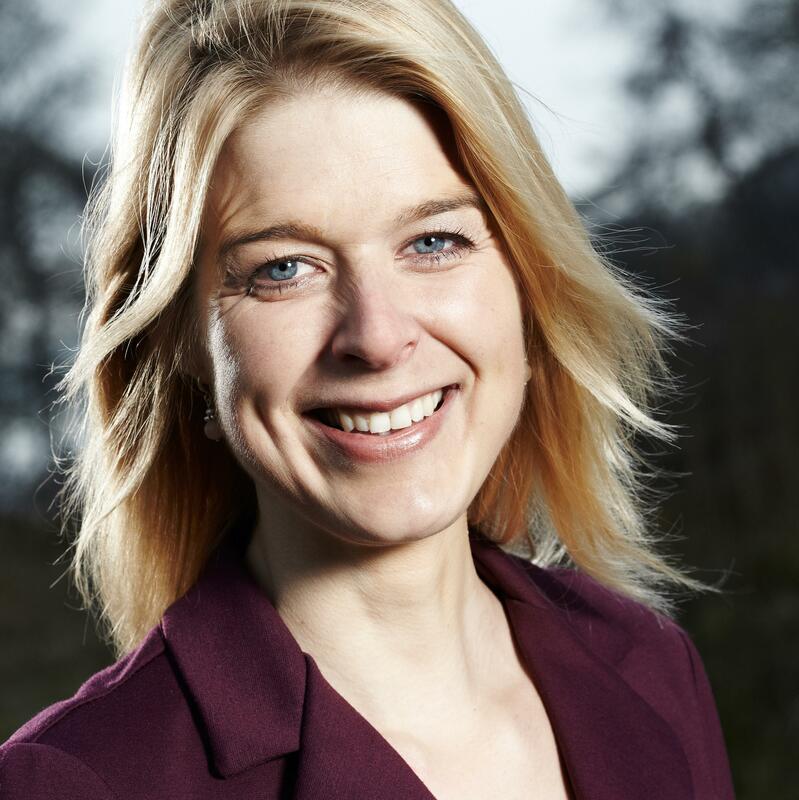 Her previous roles include Chair of the Brighton & Hove Food Partnership, Director of the Food Ethics Council, Head of Sustainable Consumption and Production at the UK government advisory body, the Sustainable Development Commission, Senior Policy Advisor at the National Consumer Council and Co-Director of the Food Commission. David Madden joined the UK Diplomatic Service in 1970, and has extensive experience of working in places on the brink of break-up (Yugoslavia in the 1980s), those divided (Berlin in the 1970s, Cyprus, Bosnia and Herzegovina), and those where there are regional tensions. As British High Commissioner in Cyprus (1994-1999), he played a full role in negotiations on a Cyprus settlement and EU accession. As British Ambassador in Greece (1999-2004), he helped the Greek government achieve a break-through against terrorism. He is the co-author of two books:(The Mystery Of Edwin Drood, Unthank Books, 2011; and Balkan Legacies Of The Great War: The Past Is Never Dead (with Othon Anastasakis and Elizabeth Roberts, Palgrave Macmillan, 2016). He has worked for years on animal welfare issues. 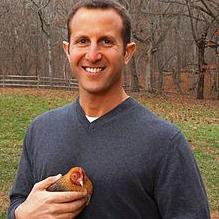 Seth Goldman is Co-Founder & TeaEO Emeritus of Honest Tea and Executive Chair of Beyond Meat. In the US, Honest Tea is the top selling organic bottled tea, specializing in beverages that are organic and Fair Trade Certified™. In March 2011, Honest Tea was acquired by The Coca-Cola Company, becoming the first organic and Fair Trade brand in the world's largest beverage distribution system. Honest Tea and Honest Kids is sold in more than 130,000 stores in the USA and Europe, including Wendy’s, Subway and Chik-fil-A. 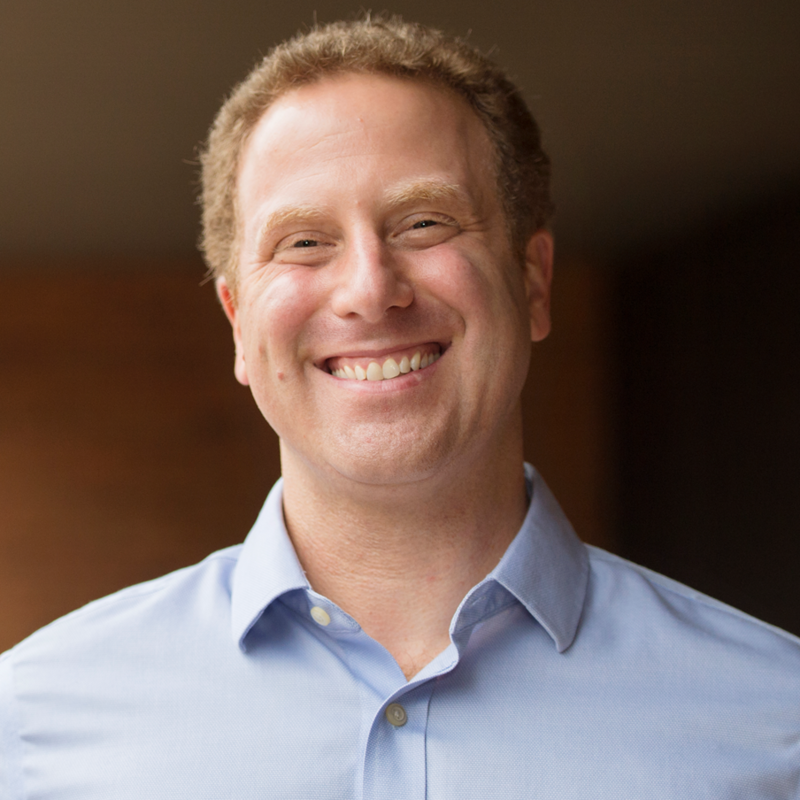 Seth also serves on the board of Ripple Foods, the Yale School of Management, the American Beverage Association, and Bethesda Green. Victoria Braithwaite is Professor of Fisheries and Biology and the co-director of the Center for Brain, Behavior and Cognition at Penn State University. Her research uses neuroscience and animal behavior to investigate what animals perceive and how they use this information to change their behavior. One of her research projects on pain perception in fish generated considerable debate and led her to write a popular science book ‘Do Fish Feel Pain?’, which was published by Oxford University Press in 2010. More recently, her research has focused on the emotional component of pain, and what it means for an animal to be aware of its emotions. She collaborates with fish biologists, fisheries scientists and industry to determine what it means to provide good welfare for fish in captivity, particularly those we farm. Chris, an enthusiastic but amateur environmentalist, has established, with his wife, a 180 hectare hill farming enterprise in the Yorkshire Dales. Native breeds have been introduced, livestock numbers have been lowered and trees planted with a subsequent increase in profitability and biodiversity. 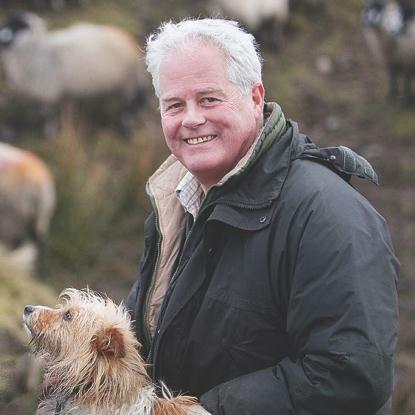 Formerly he was a tenant farmer where he established a successful free-range meat venture, he then went on to develop a business management consultancy primarily dedicated to the agriculture and allied food industries. He is a Member of the Yorkshire Dales National Park Authority. 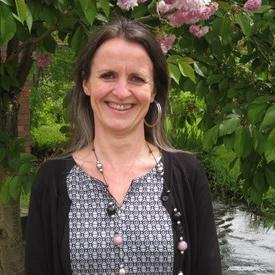 Dr Pat Thompson is Senior Land Use Policy Officer (uplands) for the RSPB based in Newcastle. He holds a BSc (Hons) and a PhD and has worked for the RSPB since 1995. 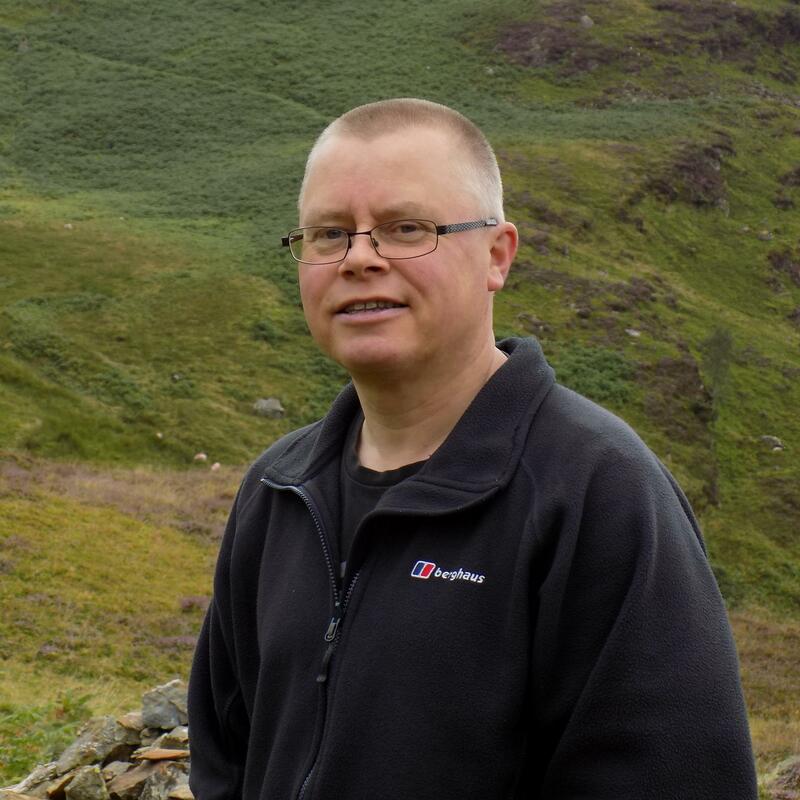 In his current role, Pat leads on upland policy, working with researchers, policy-makers and site-based colleagues across the UK. Prior to his current role, Pat has held a number of roles in the RSPB including Conservation Officer (Caithness &Sutherland) and Regional Public Affairs Manager (North England). Pat is a passionate advocate for the UK’s mountains, moors, hills and valleys and the things they provide for wider society. 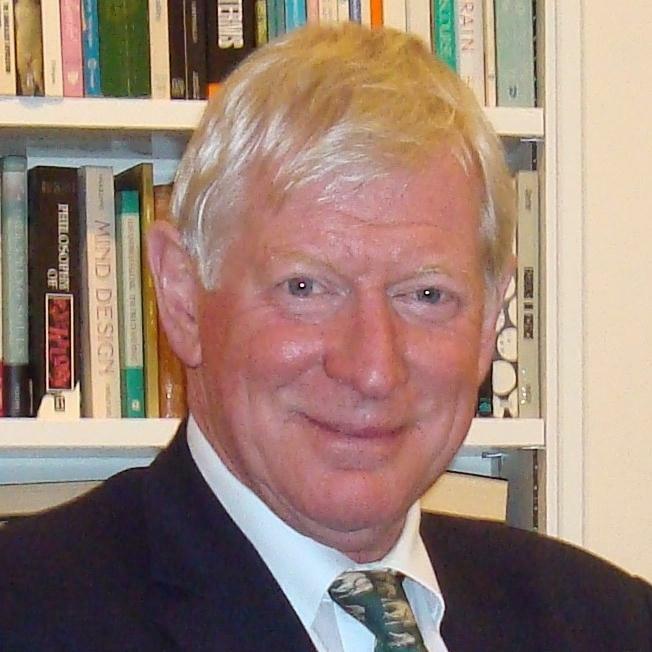 Donald Broom is Emeritus Professor of Animal Welfare at Cambridge University, Department of Veterinary Medicine. His research concerns scientific assessment of animal welfare, cognitive abilities of animals, ethics of animal usage and sustainable farming. He was Chairman or Vice Chairman of EU Scientific Committees on Animal Welfare 1990 – 2012. He has published over 300 refereed papers and nine books. His recent books are “Sentience and Animal Welfare” (2014) and "Domestic Animal Behaviour and Welfare, 5th edition" (2015), both published by CABI, and a 75 page report for the European Parliament "Animal Welfare in the European Union" (2017). 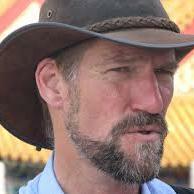 Duncan is a global food system expert and has been working in the field of sustainable systems for 20 years. He is the Food Policy Manger for WWF UK, heading their food work. He devised and delivers the on-going Livewell project, which demonstrates that a healthy diet can be sustainable, Eating for 2 degrees – new and updated Livewell Plates. He is leading the WWF Network’s position on sustainable diets and is on the steering group for their work on the post 2015 agenda. He is coordinating WWF’s work on sustainable food security including the recently published report: From Individual to Collective action: exploring the business cases for addressing sustainable food security. He also advises companies on food sustainability issues. He has run projects in Greece, Thailand and on the Galapagos Islands. He has degrees in Sustainable Environmental Management and Philosophy. He is a director at Eating Better, on the Advisory Board for FCRN and Food Bytes and the UNSCP 10 year program on food and is on the steering groups of Protein 2040 and Peas Please. Jeremy Wates has served as Secretary General of the European Environmental Bureau (EEB), Europe's largest network of environmental citizens' organisations, since May 2011. During the 1990s, Jeremy led the campaign by the European ECO Forum, an NGO coalition, to persuade governments to start work on a treaty on environmental democracy, which became the Aarhus Convention, the world’s most far-reaching international treaty on access to information, public participation in decision-making, and access to justice in environmental matters. Jeremy served for more than a decade as Secretary to the Aarhus Convention with the Geneva-based United Nations Economic Commission for Europe. In the 1980s, Jeremy founded the Irish environmental organization Earthwatch, the Irish member of Friends of the Earth International, and led the organization for more than a decade. Jeremy holds an MA Honours Degree in Philosophy and Social & Political Sciences from Cambridge University. His permanent home is in the south-west of Ireland where he has combined his environmental activism with small-scale organic farming. 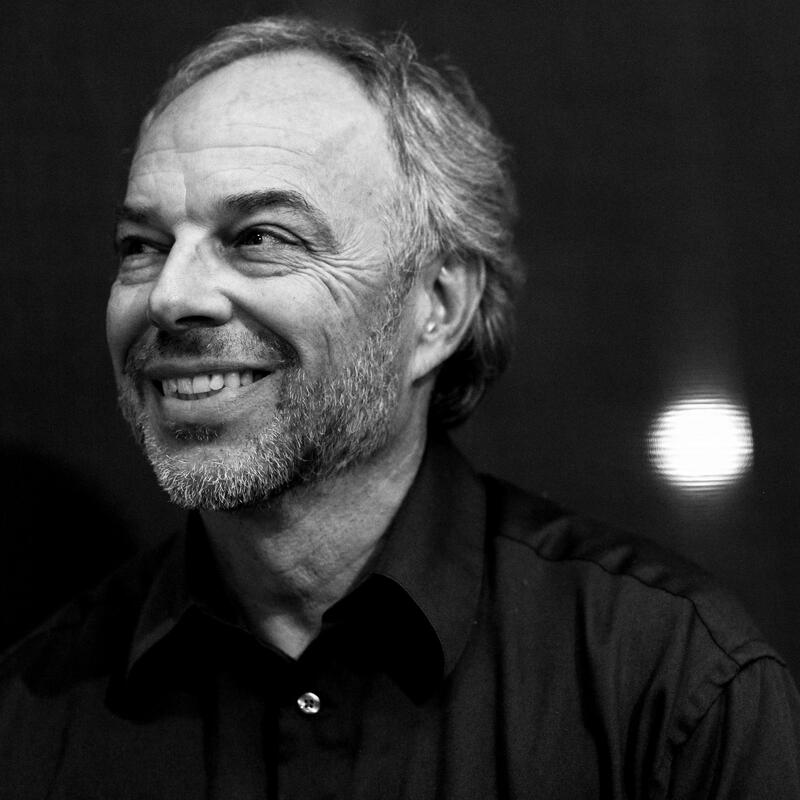 In 2011, Jeremy was awarded the David Brower Lifetime Achievement Award. Ignacio Blanco-Traba is Senior Director, Global Sustainable Sourcing at McDonald’s Corporation. He joined McDonald’s Europe in 2001 as European Quality Assurance Manager for Beef & Pork products and then worked as Commercial Director Beef Products. Prior to McDonald’s, Ignacio held managerial positions at fish farms and other meat companies. He has a degree in Veterinary Medicine, (UCM Madrid) and a Masters in Fisheries and Fish Farming, (ICADE-IME, Spain). Tony Juniper CBE is an independent sustainability and environment advisor, including as Special Advisor with the Prince of Wales's International Sustainability Unit, Fellow with the University of Cambridge Institute for Sustainability Leadership and as co-founder of sustainability consultancy group Robertsbridge. He is President of the Wildlife Trusts, President of the Society for the Environment and a Harmony Professor of Practice at the University of Wales Trinity St David. Juniper is a trustee of Fauna and Flora International, Resurgence-Ecologist and SolarAid. He speaks and writes widely on conservation and sustainability themes and is the author of many books, including the multi-award winning 2013 best-seller What has Nature ever done for us? His latest book, the Ladybird Book guide to Climate Change, co-authored with HRH The Prince of Wales and Emily Shuckburgh, was published in January 2017. He began his career as an ornithologist, working with Birdlife International. He moved to Friends of the Earth, becoming the organization's executive director (2003-2008) and Vice Chair of Friends of the Earth International. Among Friends of the Earth’s many achievements during Juniper’s time there was the success of the Big Ask campaign that called for a new law on climate change (leading to the 2008 Climate Change Act – the first legislation of its kind in the world). For over a decade, Prof. Elizabeth Kucinich has been a powerful advocate in Washington, D.C. 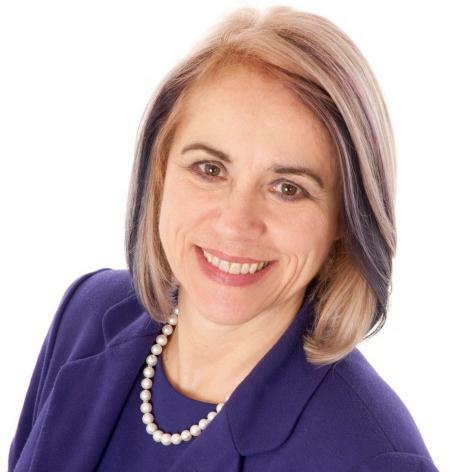 Drawing from her extensive experience working inside the U.S. political system, paired with a sincere drive to work to bring social, economic, energy, health, agricultural and ecological systems into balance, Elizabeth works to strengthen the institutional capacity of organizations, businesses and trade associations that support these goals. Elizabeth is a proponent of ecological thinking and the adoption of regenerative organic agriculture, agroforestry and plant-forward lifestyles for human security, resilience, yield and health, to reverse desertification and climate change, and bring about planetary flourishing. Elizabeth is originally from the UK. She was first introduced to political advocacy as pre-teen member of CIWF, lobbying for increased animal welfare standards. She is married to 8-term former member US Congress, Dennis Kucinich. Neil Barrett is Group Senior Vice President, Corporate Responsibility, Sodexo. In September 2009, after 7 years as CEO Sodexo Australia and New Zealand, he moved to the newly created role of Vice President, Corporate Social Responsibility, Sodexo Remote Sites and Asia – Australia, based in Singapore. In December 2010 he took on his present role, based at Sodexo’s headquarters in Paris and is responsible for the deployment of Sodexo’s corporate responsibility roadmap - Better Tomorrow 2025 throughout the business. Sodexo’s corporate responsibility roadmap highlights the company’s efforts to improve Quality of Life for our employees and all whom we serve, our commitments to local communities, health and wellness and the environment including responsible sourcing. As Sodexo continues to grow its business throughout the world, a focus on responsible sourcing and our work on animal welfare remains an important priority. 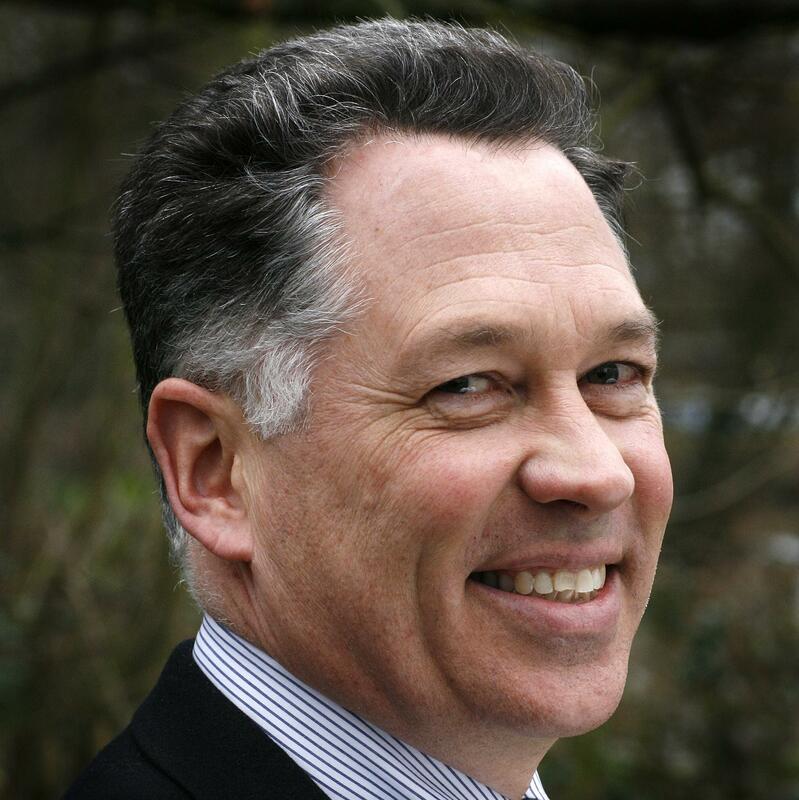 Neil has 39 year business experience, working in leadership roles in international shipping, asset security, passenger rail transportation and heavy engineering manufacturing. His once in a lifetime, never to be repeated role, was managing a company that successfully provided the “best ever” corporate hospitality services to 26 major Olympic sponsors and their thousands of clients during the Sydney 2000 Olympic Games. 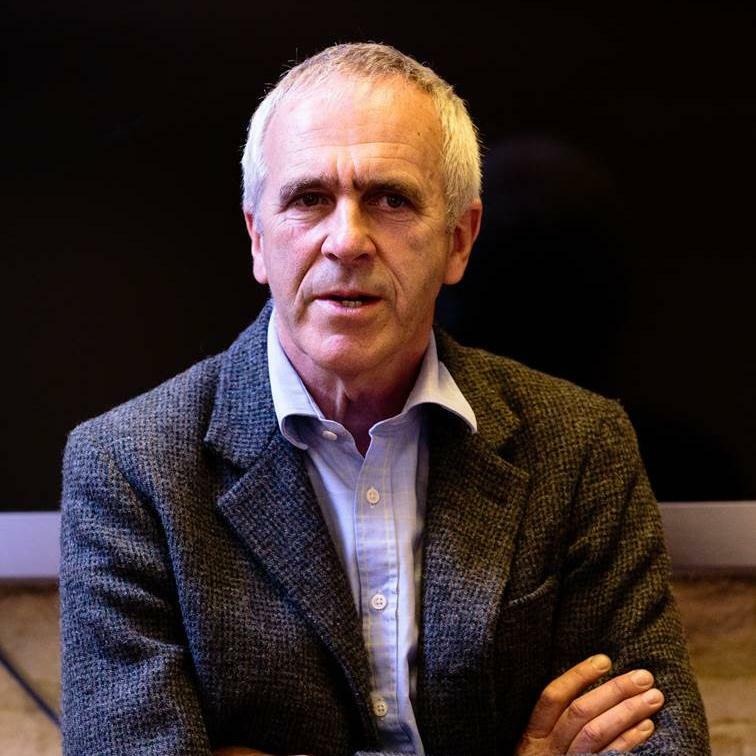 Patrick Holden is founder and chief executive of the Sustainable Food Trust, an organisation working internationally to accelerate the transition towards more sustainable food systems. 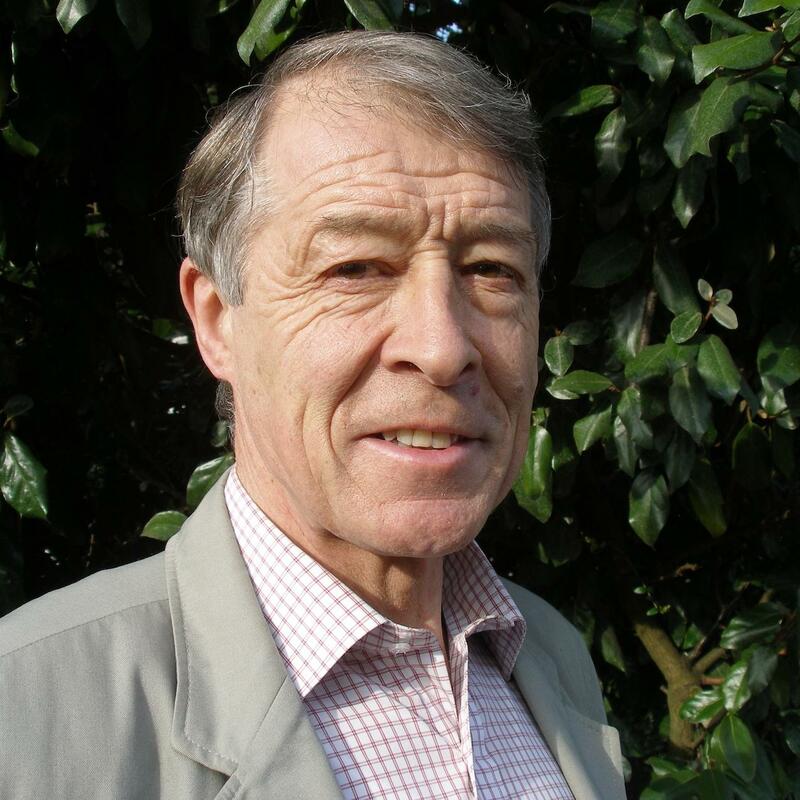 Between 1995 and 2010 he was director of the Soil Association, during which time he pioneered the development of UK and international organic standards, policy incentives for organic production and the organic market. His policy advocacy is underpinned by his practical experience in agriculture on his 100 hectare holding, now the longest established organic dairy farm in Wales, where he produces a raw milk cheddar style cheese from his 80 native Ayrshire cows. Rosie Wardle is Programme Director at the Jeremy Coller Foundation, a strategic grant-making organization based in London, established in 2002 by entrepreneur Jeremy Coller, founder and Chief Investment Officer of Coller Capital, the leading global player in the private equity secondaries market. In her role as Programme Director, Rosie leads the Animal Welfare and Human Health programmes, which address the global sustainability consequences of factory farming and human health threats including antibiotic resistance. In December 2015, JCF launched the FAIRR (Farm Animal Investment Risk & Return) Initiative, which is working with major investors globally to put factory farming on the ESG agenda. FAIRR is currently backed by investors with combined assets of over $3trillion, and Rosie leads the investor engagements with global food companies. Rosie also acts as an advisor for Jeremy Coller’s personal investments in the food technology space. Recent investments include Memphis Meats, Impossible Foods and Perfect Day. Rosie holds a BA (Hons) and MA from the University of Oxford, and an MA from the Courtauld Institute in London. Dr. Okori joined IFAW in 2017 to lead their landscape conservation programme and their Southern Africa Regional office based in Cape Town South Africa, where he directs our work to save elephants, rhinos, lions and other African wildlife through the protection of critical landscapes, mitigation of human-wildlife conflict and ecologically sustainable community development projects. Prior to joining IFAW, Dr. Okori led the global rhino conservation programme and spearheaded Africa-Asia trans-continental partnerships on rhino and elephant conservation for the World Wide Fund for Nature (WWF) out of their South Africa office. He also served as the WWF focal point for South African Development Community (SADC) in strategy development. In previous roles over his 19 years in conservation Dr. Okari has led innovative ranger and research projects focusing on DNA forensics as a tool for wildlife crime enforcement, as well as building strategic partnerships and advocating for long-term policy protections for wildlife in national and international flora. In 1991 Joyce was appointed as Chief Executive of Compassion in World Farming, a post she held for 14 years. As Compassion’s Ambassador since 2005, she has given talks at conferences and institutions across the world, from the World Bank to the FAO and the European Parliament. In April 2016 she was appointed as Ambassador Emeritus for Compassion. Joyce played a key role in achieving the UK ban on sow stalls in the nineties and in getting recognition of animal sentience enshrined in the European Union Treaties. 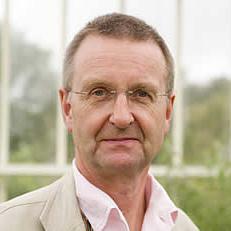 In 2010 publishers Earthscan commissioned Joyce to produce/edit the book “The Meat Crisis” with Professor John Webster as co-editor. A new edition of this book is being published in August 2017.Joyce was awarded Honorary Doctorates by the University of Winchester, 2015, and the University of Keele, 2017. She is a Patron of the Animal Interfaith Alliance and a Trustee of the UK branch of Help in Suffering, a charity carrying out veterinary work in Jaipur, India. She is on the Advisory Council of CreatureKind. Emma first joined Compassion in World Farming in 2011. She became Head of Campaigns and Advocacy in 2012, leading her team with determination and fervour. Emma went on to become the European Programmes Director at World Animal Protection, returning to Compassion as Director of Campaigns in 2016. Emma has a strong track record of creating successful teams and has a mixture of both national and European experience, boasting significant contributions to a broad range of campaigning results including; corporate policy change, new and amended legislation, and public attitude shifts. She looks forward to playing a key role in many more future achievements for farm animals worldwide. Derek is the co-founder of Wicked Healthy, LLC, a community of chefs and food enthusiasts that celebrates the artistry and awesomeness of plant-based cooking. Derek also serves as Executive Chef & Director of Plant-Based Innovation for Tesco PLC, where he is leading the company’s efforts to bring delicious, unpretentious vegan foods to market. Prior to this, Derek served as the Senior Global Executive Chef for Whole Foods Market and served as Culinary Director for the WFM Academy for Conscious Leadership. Prior to WFM, Derek was a serial entrepreneur, founding several award-winning restaurants and food service companies in the United States and also served as the resident Chef & Farmer at Padma Samye Ling, a Tibetan Buddhist monastery and retreat center in upstate New York. Derek is the co-author of the Whole Foods Market Diet cookbook (Fall 2018), and the upcoming Wicked Healthy Cookbook (Spring 2018). 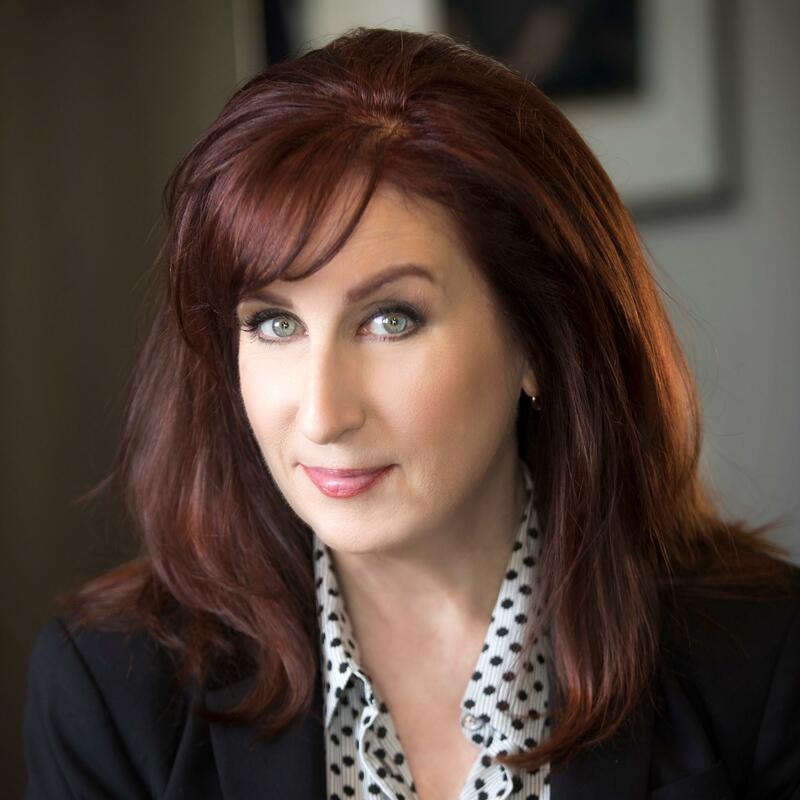 Maryn McKenna is an award-winning journalist and Senior Fellow of the Schuster Institute for Investigative Journalism at Brandeis University. She has reported from epidemics and disasters, and farms and food production sites, on most of the continents, including a field hospital in New Orleans during Hurricane Katrina, a Thai village erased by the Indian Ocean tsunami, a bird-testing unit on the front lines of West Nile virus, an Arctic graveyard of the victims of the 1918 flu, an AIDS treatment center in Yunnan, a polio-eradication team in India, breweries in France, a “Matrix for chickens” in the Netherlands, and the Midwestern farms devastated by the 2015 epidemic of avian flu. She writes about science and food for National Geographic and for magazines and websites in the United States and Europe, including The New York Times Magazine, NPR, Newsweek, Vice, FiveThirtyEight, Wired, Scientific American, Slate, Modern Farmer, Nature, The Atlantic, and The Guardian. She is the author of the award-winning books SUPERBUG and BEATING BACK THE DEVIL: On the Front Lines with the Disease Detectives of the Epidemic Intelligence Service. Her new book — BIG CHICKEN: The Incredible Story of How Antibiotics Created Modern Agriculture and Changed the Way the World Eats — will be published in the United States in September 2017 and the United Kingdom in February 2018. Tracey has degrees in Animal Science (BSc) and Animal Production (MSc) and a PhD on ‘Improved handling systems for pigs at slaughter’. She has practical experience of indoor and outdoor pig farming in the UK and overseas, as well as poultry husbandry. Tracey has undertaken 18 years applied animal welfare and behaviour research conducted at Cambac Research and Oxford University in collaboration with industry, NGO’s, and Government. Her research includes: tail biting in pigs, free farrowing systems for sows, long distance transit of pigs, stocking density for broiler chickens, selection for welfare traits in broilers, space allowance for sheep in transit and bathing water provision for ducks. Tracey joined Compassion in 2010 providing technical expertise for Compassion’s engagement work with the food industry, helping implement and affect positive change for farm animals on a large scale. In 2013 Tracey was promoted to Director of Food Business and is extending the reach of the programme further into Europe, China and the US. Tracey is passionate about animal welfare and making real, lasting differences to the lives of millions of farm animals.